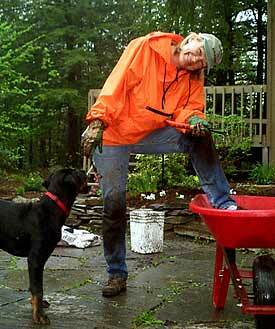 Much as she loves life in the city, Beate had been yearning to have some earth to dig in again. Li'l House came complete with a front and backyard that needed lots of work. 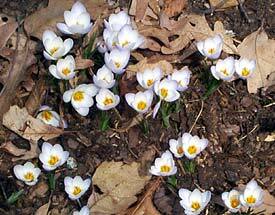 Finally, Beate can plant, water, pull weeds, and rake again to her heart's content. 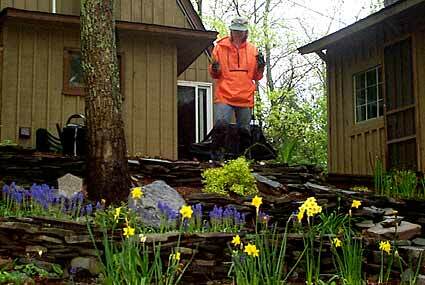 At the end of '98 she moved 1 1/2 tons of earth and stones to create raised flower beds and planted hundreds of bulbs. 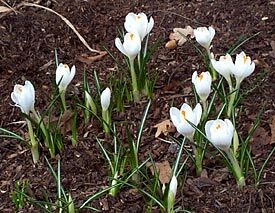 In April of '99 they sprouted ! 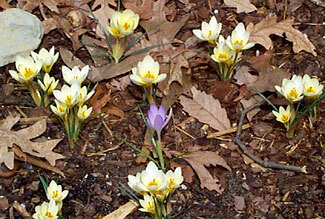 More Snow Crocus  a purple one snuck in ! 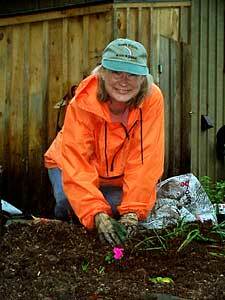 Beate planted over 200 plants that weekend!